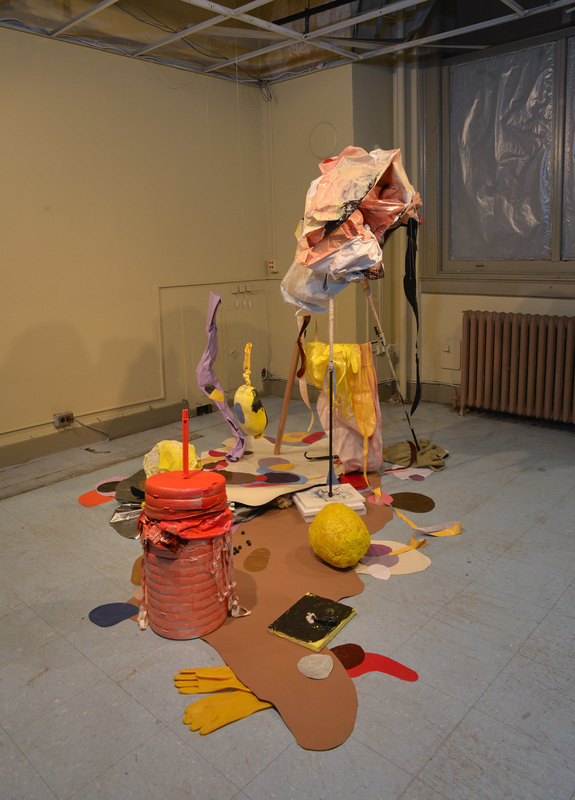 Peter Gynd presents: Form and Formlessness: Objects and the Body, two separate site-specific installations by Katya Grokhovsky and Taezoo Park. 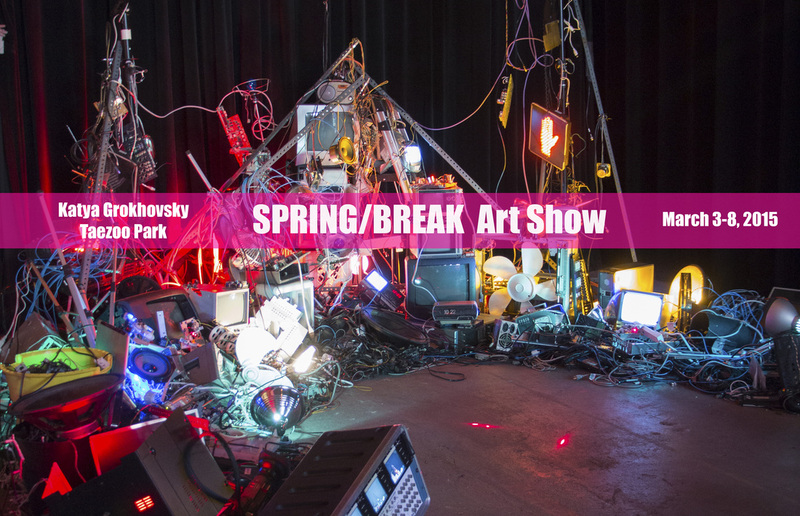 Through playful yet grotesque gestures, Grokhovsky and Park highlight and explore the ridiculous qualities of form within the broader context of consciousness, calling specific attention to the relationships constructed between objects and the body. 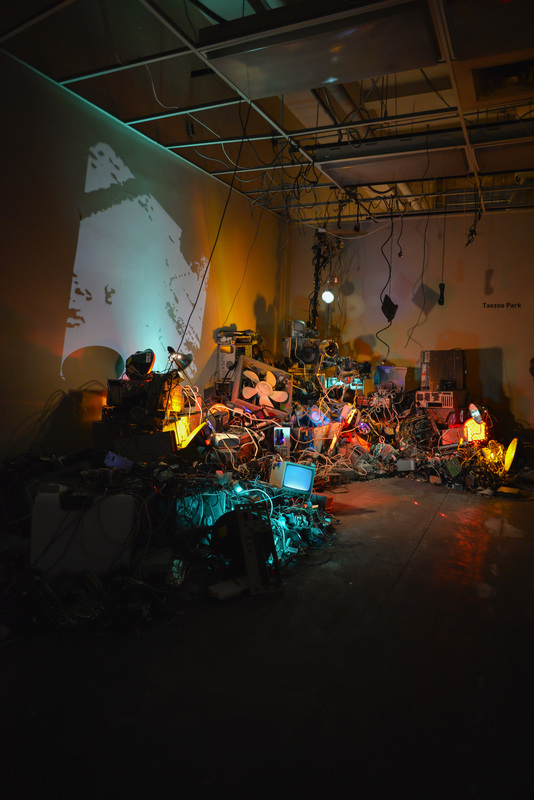 Comprised of technological waste, Taezoo Parks Digital Being is an interactive installation exploring a hypothesis of a consciousness in everyday electronic appliances. 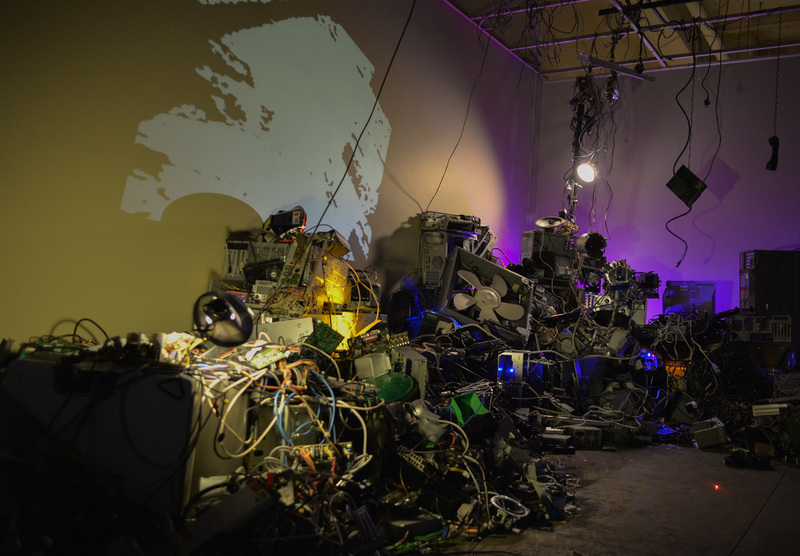 Digital Being engulfs the space it occupies, taking on the form of a mountain of e-waste which directly interacts with its audiences through each objects unique personality as enhanced by Park. 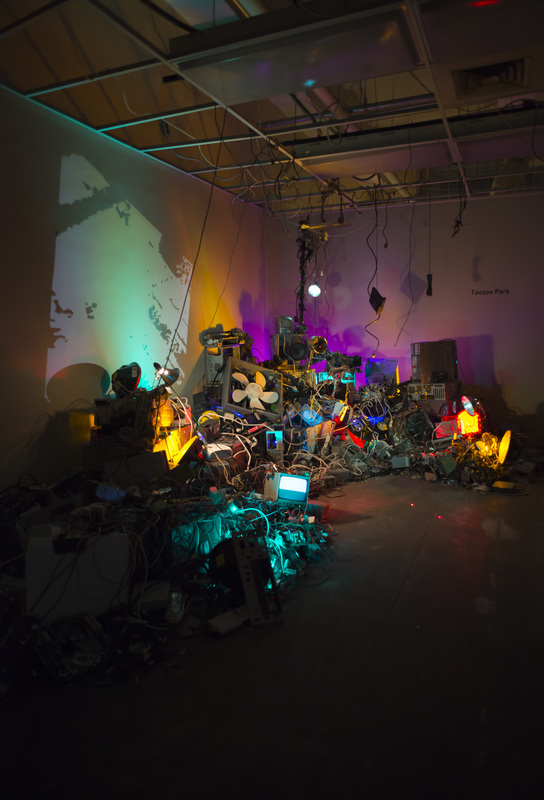 Park hacks the machines, deconstructing them to their inner circuitry and uses each machines' unique source code to dictate its personality with the addition of sensors, actions and peripherals. 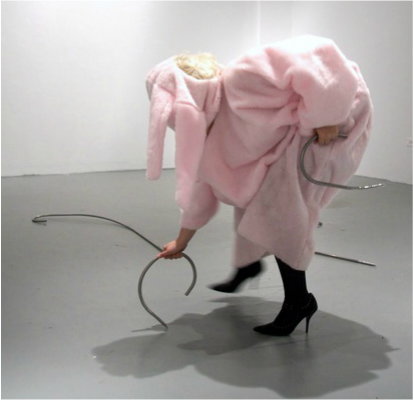 The resulting installation presents a Being whose basis for evolution of consciousness is dictated through its original form and function as an object.